September 1980 marks 100 years that Mt. 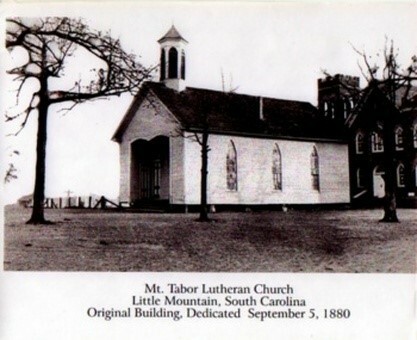 Tabor Lutheran Church has been in existence. This history is prepared, not only with the desire to stir the memories of older members and help newer members walk happily through the doors of the past, but also to offer new challenges for future progress. Although it is very incomplete, the dates, events, and personalities are as accurate as we have been able to gather. To help understand the history of Mt. Tabor, we have to take a brief look back at the history of the back country, as this part of the state was called in the early days. From the word “Deutsch” which means German and pronounced Dutch, and the “fork” of land lying between the Broad and Saluda rivers, the section became known as Dutch Fork. Records in the South Carolina Archives show that in the early 1750′s there was a great influx of German settlers into the Dutch Fork section of South Carolina. In Volume 20 of the Council Journal, John Shely arrived in the port of Charleston, October 1752, aboard the ship Caledonia from Rotter, Holland. He petitioned his excellency and their honors to order the Land General to lay out to his Majesty’s petitioners 400 acres of land, free of charge, and that he may have his Majesty’s Provisions Bounty and the petitioner as in duty bound shall never pay. The four hundred acres of land given to John Shely were located on Crim’s Creek. The land was given in accordance to English Law: according to the number in each family – fifty acres for the father, fifty for the mother and fifty for each child. This land was given to bring new settlers into the unsettled acres of North and South Carolina. The early settlers of the Dutch Fork area were German Protestants, but were in all likelihood not entirely Lutherans. They were probably a mixture of Calvins, Anabaptists, and some Lutherans. The Lutheran denomination began to predominate in the Dutch Fork section of South Carolina, and until recently, most inhabitants of the Dutch Fork were mainly Lutheran. The land grant which John Shely received as a new corner to the land was to be an important factor in the development of Mount Tabor Lutheran Church. This original land grant was handed down to his children, sold to friends, and finally a number of acres between Ruff’s Mountain and Sligh’s Community was given to Anderson Shealy. This land was in turn passed by inheritance to George M. Shealy (called Guinea George) who gave the land for the forming of a new congregation on New Cut Road. This became known as Mt. Tabor Lutheran Church. In January of 1870, a marriage took place which was to bring to life the new congregation. John A. Shealy, a member of St. Pauls’ Lutheran Church, and Happy Rachael Boland, a member of St. Peter’s, Lutheran Church, could not decide on whose home church to attend. They settled in an area between St. Pauls’, Pomaria and St. Peter’s, Pineywoods. Tradition says that John and Happy Shealy contacted the Rev. J. A. Sligh, then the pastor of St. Paul’s Lutheran Church, about starting a new congregation to serve the area between St. Peter’s and St. Paul ‘s. The results of their talk was the formation of the New Cut-Off Church, as the congregation was to be called until is was formerly dedicated on September 5, 1880. The church was constructed on the land of George M. Shealy because an earlier site near Sligh’s Community was found to be too small for the proposed church. In the Lutheran Visitor, September 16, 1880, the following account of the dedication was recorded: The dedication of Mount Tabor, in the charge of Reverend J. A. Sligh took place on the fifth of September with J. P. Smeltzer preaching the sermon, “thou art Peter, and Upon this rock will I build my church.” The dedication was followed by Communion, with a large crowd in attendance. A debt of $100.00 still remaining on the church was eliminated by a collection. The church was built by the membership alone under the direction of Mr. Henry Cannon who was a member of the church and a contractor by trade. They did all the work at a cost of $1,000.00. The church was neatly painted inside and out. The membership consisted of 35 members. The original church was constructed of wood planks cut from trees owned by the members. The building was approximately 50 feet by 35 feet and was able to seat 150 people. The altar, pulpit, and lecturn were made by members of the congregation. There were three rows of home made pews leading to an elevated altar. This altar was enclosed by a rail about 20 inches high. The pews were constructed by Mr. Henry Cannon, and some can still be seen in the homes of present members of the congregation. As was the custom, the men sat on the right side of the church and the women sat on the left. The children stayed with their mothers until either re-placed by another baby or matured to the age of 3, 4, or 5 years, when they were likewise seated, the boys with their fathers and the girls with their mothers. The new church was placed in a pastorate with Reverend Sligh preaching twice a month, on the first and third Sundays, and was recognized as a member of the United Synod of the South in 1886. Mount Tabor does not have any early church records. The present records begin in 1902, so there is no list of the charter members of the Congregation. The records of the two congregations, St. Paul’s and St. Peter’s, from which the main membership of Mount Tabor was drawn, were destroyed by fire. However, from conversation with members of today’s congregation, the following is a list of probable charter members. Probably, the best way the history of Mount Tabor can be told is through the history of the pastorates that Mount Tabor was a part of. To begin with, Mount Tabor and St. Paul ‘s were put into one pastorate, to be supplied by Reverend J. A. Sligh. Under this arrangement, the small congregation began to grow. A Sunday School was established and attendance was close to fifty after the first year. 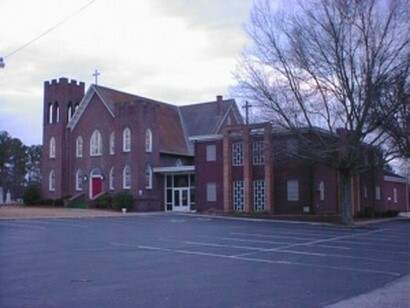 Mt.Tabor Church was selected as the site of the 1881 Newberry County Sunday School Convention. After the convention, an article in the Lutheran Visitor told about the fine Sunday School system and Church which Mt. Tabor had. A special thanks was given to the choir and organist for the fine job they did during the Convention. In the second year of its existence, the need of a cemetery was realized. The Synod Minutes made reference to the fact that a child member of Mt. Tabor had passed on into the Kingdom Eternal. In the cemetery at Mt. Tabor, the earliest grave marker is for James Ira Shealy, the son of John Adam Shealy and Mary Frick Shealy, who died September 30, 1882. The Mt. Tabor Church continued to grow through the next six years, and the next mention of Mt. Tabor is given in the Synod Minutes of 1888. The Church then had an active membership of 115 communing adults with 180 in the Sunday School Program. In 1888, Mt. Tabor began to focus its life on the Missionary Call. A Children’s Missionary Society was established with 24 members. 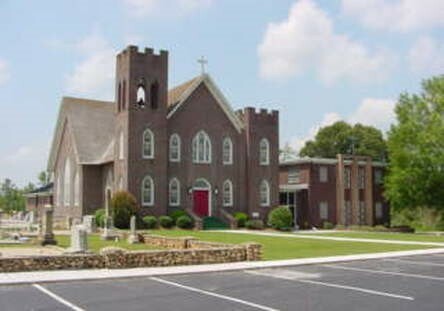 While Pastor Sligh was preaching at St. Paul’s and Mount Tabor, he also served two terms as Senator from Newberry County. During these terms of office, much improvement took place in the Little Mountain Community. A High School was established across from Mt. Tabor and was known as Mt. Tabor High School. The Rev. Sligh was also instrumental in getting the proposed railroad moved so that it would go though Little Mountain, Slighs, and Newberry. The addition of the railroad brought new businesses and more people into the area. In 1892 Synod Convention Minutes, under the Report of Pastoral Districts, Resolutions 4, 5, 6, 7 state: “That In accordance with the petitions of Joint Council of St. Paul’s Pastorate, Mount Tabor and St. Paul ‘s be separated; That St. Paul’s for the present constitute a Pastorate by itself;That Mount Tabor be allowed to make its own arrangements for preaching; That the formal resignation of the Reverend J. A. Sligh as pastor of Mount Tabor Evangelical Lutheran Church be accepted. In 1892, another organization of the church was organized, a Womans Home and Foreign Missionary Society, with a listing of 43 members. In 1893, Mt. Tabor formed an agreement with Grace, Prosperity. The agreement was that Rev. T.0. Keister supply Mt. Tabor. As a result of this, the young congregation received its first major test. A newly established church, Holy Trinity at Little Mountain, received 31 members from the Mt. Tabor Congregation. This great departure from Mt. Tabor was partly due to the un-acceptance of the new pastor. The struggling congregation weathered this major threat. According to the records of the 1893 Convention, Mt. Tabor records 141 Communing Members, 142 students in the Sunday School with 16 teachers. Between the years 1893 and 1894, there was a large drop in membership. The Sunday School records only 90 students with 11 teachers. After two years as pastor of Grace Pastorate, preaching at Mt. Tabor and Grace Lutheran Churches, Reverend T. 0. Keister resigned from the two churches. This was to set the stage for most of the history of Mt. Tabor — the problem of keeping qualified men as their pastor. Perhaps part of the blame can be placed on the Evangelical Lutheran church which had the custom of assigning a pastor for a year at the time to serve a congregation or pastorate. In 1895, with the resignation of the Rev. T. 0. Keister, the agreement between Mt. Tabor and Grace was terminated. A formal request was made that Mt. Tabor and Grace be made into one Pastorate. This request was granted by the Committee on Pastoral Districts. In 1895, the Rev. T. S. Hallman was called to this pastorate. He began his duties December 1, 1895. During his four years at Mt. Tabor, the total membership increased to 151, which was near the level of membership during its early years of formation. On November 1, 1899, the Rev. T. S. Hallman resigned, leaving Mt. Tabor vacant again. In September 1900, the Rev. W. H. Hiller was called as pastor of the Grace Pastorate. Pastor Hiller’s stay was very short for he soon transferred out of the South Carolina Synod to the North Carolina Synod. His resignation took effect February 1, 1902. During Pastor Lutz’s work at Mt. Tabor, another storm was weathered by the Congregation. This time a cyclone swept down from the west, tearing and twisting homes in the Little Mountain area. When the church was surveyed for damage, it was found that the front of the church had been hit by the cyclone and twisted out of shape. It had to be reinforced before Services could continue in the building. Pastor Lutz carried out his calling to the Mt. Tabor Congregation by becoming acquainted with each member of the Congregation. In the Minutes of Mt. Tabor Record Book, Reverend Lutz writes that he was accompanied by George W. Bowers going from house to house conducting a prayer service lasting about thirty minutes in every home. That seemed to be the first full scale program of visitation of any pastor in the history of Mt. Tabor. Another organizational ability of the Rev. Lutz can be seen in the setting up of congregational meetings. These meetings took place on the Second Sunday in January of each year. The Superintendent of Sunday School, the President of the Children’s Missionary Society, the President of the Women’s Home and Foreign Missionary Society, Secretary of the Church Council, Treasurer of the Congregation, and the pastor each made a written report of the year’s activities in their own field. On February 4, 1905, the Rev. W. A. Lutz resigned, effective Easter 1905, as pastor of Mt. Tabor and Grace Lutheran Churches. He was dismissed to the Tennessee Synod. The next call was extended to the Rev. M. 0. J. Kreps, who was pastor of Holy Trinity, Augusta, Georgia. Rev. Kreps began his work October 1, 1905. After a successful and harmonious pastorate, he resigned May 15, 1910, to become Financial Secretary of the Theological Seminary of the United Synod. The Rev. E. W. Leslie accepted a call to Grace, Prosperity, and Mt. Tabor Pastorate in the Spring of 1910. In 1914, the Pastorate of Grace, Prosperity and Mt. Tabor, Little Mountain was dissolved by common agreement between the two Church Councils, because K~race was now financially able to become self supporting. The next stage in the development of Mt. Tabor Congregation took place with the formation of a new Pastorate composed of Mt. Tabor, Mt. Pilgrim, and Mt. Olivet Churches. The Rev. J. B. Harmon accepted a call to the newly organized Pastorate July 1, 1915. For about two years, there was no parsonage for the Mt. Tabor Pastorate. On August 10, 1917, it was decided at a joint meeting of the Church Councils to build a parsonage near Mt. Tabor Lutheran Church. Mr. M. G. Shealy, a member of Mt. Tabor, sold two acres for $5.00 for the building of the new parsonage. Members of the combined congregations gave the timber and did the work themselves. Those who could not work on the parsonage gave money and other items. In November 1918, the Church Parsonage was ready for occupancy. During the six and one half years that Rev. Harmon was pastor of Mt. Tabor, the congregation increased in both membership and stewardship. The liberality of the congregation was shown through the doubling of the pastor’s salary and benevolences. Also in 1918, United Synod of the South was involved in a merger. It became the United Lutheran Church in America. Pastor Harmon resigned January 1, 1922. In September of 1922, the Rev. J. L. Cromer was called. It was under his able leadership that the construction of the present church was begun and a new era of growth and expansion was begun for Mt. Tabor. The following article appeared in The Lutheran Messenger of September 1917: “The dedicatory services of the handsome new church of Mt. Tabor congregation, near Little Mountain, Rev. J. L. Cromer, pastor, were held Sunday, August 14, in the presence of one of the largest congregations ever seen at a rural church in Newberry County, it being estimated that 1,000 people were in attendance. Preceding the formal dedicatory services in the morning, addresses were made by Rev. S. P. Koon and Rev. J. J. Long, D.C., pastor of neighboring congregations, St. Paul’s and Holy Trinity, respectively. The dedicatory sermon was preached by Rev. J. B. Harman of Johnston, a former pastor, from the text, “Christ also loved the church and gave himself for it” (Ephesians 5:25). Rev. J. J. Long assisted the pastor in the liturgical service, with the prayer by Rev. L. P. Boland of Kannapolis, N. C., who entered the ministry from Mt. Tabor Congregation. In the afternoon, after an intermission and a bountiful dinner served by members of the congregation on the church grounds, appropriate addresses were delivered by Rev. W. C. Boliek of Columbia, Dr. George B. Cromer of Newberry, Rev. H. J. Black, D.D., president of synod, and Rev. D. B. Groseclose of near Columbia. It was a day filled with a feast of good things. The church is one of the handsomest structures to be found in any rural community in the state. Work on the building began in August, 1925; it was completed and occupied on the fourth Sunday in April, 1926. The cornerstone laying took place September 5, 1927, (exactly forty-five years after the original church was completed) and was dedicated as Mount Tabor Evangelical Lutheran Church. The building contains eight Sunday School rooms and a spacious auditorium. There are 40 windows of the finest Gothic art glass. The building is of the Gothic style of architecture and is the original plan of the pastor. The altar, the pulpit, and the lecturn were made by Mr. Rufus Shealy, a member of the congregation. The pews were purchased from a firm in Wisconsin. The Gothic panels on the ends harmonize with the windows. The church is built of â€œruf-texâ€ brick, using select colors, which makes is unusual, neat, attractive and beautiful. It has three necessary qualities which make it a model auditorium, namely, plenty of light, ventilation and sound carrying qualities. The construction of the building was begun at one of the most trying times ever experienced by the congregation, which is composed entirely of farmers. Work was begun during the dryest summer (1925) known to that neighborhood and under trying circumstances and financial failures. Notwithstanding this, all bills were discounted and never a straight-out subscription was made – all voluntary contributions. No money was raised by means of ice cream suppers or barbecues. No outside help was asked, but a little was contributed. A collection taken at the corner- stone laying amounted to nearly $1,400. The cost of the building can not be exactly determined on account of the way it was erected. Competent judges, however, place it between $25,000 and $30,000. Many who have seen it say it is the best rural church in the state. Committees from more than a dozen churches in different sections of the state have come and studied its plans and also to learn how this unusual, seemingly impossible work has been accomplished. Two Lutheran Churches in the synod are being erected now, using the plans of Mt. Tabor. The credit for this creditable structure, which is entirely free of debt, is due to untiring efforts and a keen vision and leadership of the pastor. During his 32 years in the ministry, he has built six churches, three in South Carolina and three In North Carolina. He is the son of the late Rev. J. A. Cromer, who was pastor of Emanuel pastorate in Lexington County for 45 years. The son of this worthy pastor has proved himself to be a great leader, and the membership of the church has rallied nobly to his call. The church has grown and prospered during his five years as minister. Mt. Tabor congregation has an enrollment of 208. Of this number two are over 80 years of age, one approaching 90 years, and 17 are over 70 years of age. Most of the work of the church was done by its members, under the leadership of the pastor. The timber, the stone, and many other materials were furnished by members of the congregation. During the past four years, the pastor has given to each family one peck of cotton seed. When the cotton was picked, it was pooled, ginned, and sold. The women of the congregation gave of their Sunday eggs during the Lenten season. By this means, most of the money was raised, and the name Butter & Eggs Church was given. The people of this community deserve to be congratulated. Three years after the dedication of the new church, the resignation of Rev. J. L. Cromer became effective. Rev. Paul Counts was pastor from April 1, 1933 to July 15, 1936. He was one of God’s servants who had given the best of his years and his health to the mission fields in Africa and South America. Though his health was impaired, his dedication and sincere devotion to the Master was truly an inspiration to his congregation. Rev. Daniel M. Shull became pastor November 1, 1936 and remained until October 26, 1942. When he became pastor, Mt. Tabor was having Sunday School every Sunday, but Worship service only on 2nd and 4th Sundays, in order that Mt. Pilgrim and Mt. Olivet might have 1st and 3rd Sundays for their services. Also, there was no Sunday School class offered for children below grade school age. Under the direction of Pastor Shull, Mr. John Ballentine as Sunday School Superintendent, and Mrs. Sarah Lou Shealy as teacher, a nursery class was organized for children ages 3, 4 and 5 years. No literature was available so Hurlbert’s Story of the Bible was used with any helps she could originate. In 1938, a great milestone was reached in the history of Mt. Tabor. REA ran electric lines through the country. Electricity came to Mt. Tabor church and parsonage, replacing the old kerosene lamps. The leadership was begun by Rev. Emory B. Heidt on September 1, 1943. During his Pastorate, Mt. Olivet was dropped from the parish. The parsonage, which had been built around 1917, was still being used, but the two congregations decided a new house needed to be built for their pastor. So in 1949, a modern brick parsonage was built on land adjoining the church property and on Highway 76 which was a new highway. The land was owned by Mr. & Mrs. John Ballentine, who gave one acre and sold the second acre for one hundred dollars. A well and pump was given by Mr. Frank Shealy to provide water for the new parsonage. A water line was also run to the church. Running water, at the church, was another first for Mount Tabor. Rev. Heidt moved June 30, 1950. The next Pastor was Rev. J. S. Wessinger, who began his work with the Parish of Mt. Tabor and Mt. Pilgrim on November 1, 1950. He remained a loyal and dedicated leader until November 1, 1961. During his entire tenure, he took only the fifth Sundays as his vacation time. He instilled into the congregation to pay their benevolent apportionment. One of his sayings was that if anything must go lacking, let it be his salary. He also added that he could eat with his parishioners, but the work of the church must go on. Rev. John T. Chewning, Jr., accepted the work of the parish August 16, 1962, and remained until June 15, 1965. During this time, the parish educational building was built. Ground breaking for the new building was held Sunday, November 18, 1962. The building committee was composed of Samuel R. Frick, Chairman, and serving with him were: J. Carroll Long, Carroll Counts, George Frick, Bernard Huffstetler, and Adrian Bowers. The Cornerstone of the building was donated by Carolina Blue Granite Company of Newberry. The estimated cost of the building was around $30,000, but as was the case with every project begun by Mt. Tabor, so much was donated that it is difficult to get a cost figure. With the completion of the parish building, a new chapter in the educational life of Mt. Tabor began to unfold. In 1962, another merger was effected and ULCA now became LCA, Lutheran Church in America. The Parish, consisting of Mt. Tabor and Mt. Pilgrim, was dissolved and Mt. Tabor became a self- supporting congregation in 1965, while without a regular pastor. Rev. William R. Cobb was Pastor from June 1, 1967, until September 15, 1968. During his pastorate, the mortgage for the Parish Building was burned. Rev. James C. Taylor became pastor June 1, 1969. While he was pastor, the entire church was carpeted, the Educational building was air conditioned, and choir robes purchased for the Senior, Youth, and Junior Choirs. An old school bus was bought and painted for use as a church bus. He resigned parish work, June 1977, to become a Chaplain in the Armed Services. The S. C. Synod reorganized in 1975, forming 8 Districts. Through the change, Mt. Tabor became a part of the Dutch Fork District. The present Pastor is Rev. W. 0. Herlong, having begun his work at Mt. Tabor October 1977. In the short time that he has been pastor, much progress has been made. Some of the accomplishments are: the church roll has increased, cushions have been put on church pews, a new PA System has been installed, and another bus purchased to replace the old one. The congregation also adopted the new Lutheran Book of Worship as its guide for worship. In 1997, serious consideration was given to adding a new fellowship hail and office complex to the existing facility. Dale Marshall was hired as an architect in March of 1998. Rev. Herlong left our parish on March 14, 1998 after the hiring of the architect. 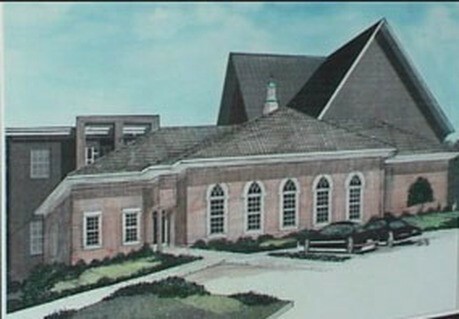 On April 26, 1998, the ground breaking for the new addition was held. Even though Mt. Tabor was without a pastor, the new building moved forward. Pastor Guy Cruise served as the interim pastor from May of 1998 to August of 1999. In December 1999, the new complex has been completed at an approximated cost of $325,000. The corner stone was laid on December 5, 1999. 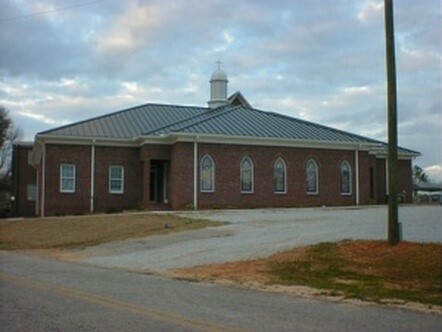 Much free labor, donations of materials, and generous giving by the congregational members made it possible for this building to be completed without any debt. On January 23, 2000 this new fellowship and administrative complex was dedicated. Pastor John Stoudemayer became the new pastor of Mt. Tabor on August 8, 1999. At this time the membership of Mt. Tabor is 455 baptized members with 384 confirmed members. Music has always been an important factor of Lutheran worship and this was true during the life of the little white church. Mr. Walter Counts â€œtaught singingâ€ from SHAPE NOTES and directed the choir which was usually composed of more men than women. There were no nursery or cry rooms in olden days. The most effective means of quieting a child who might seem a little restless was a positive thump on the head. The pastors of years ago always preached sermons at least one hour to one hour and ten minutes long. The story is told that mites were so annoying that service had to be suspended one Sunday while Mt. Tabor was still worshiping in the white church. They were caused by yellow hammer birds nesting in the belfry of the church and they found people to be inviting subjects. It should be noted that Rev. Lutz in his report, in 1902, said he found twelve church councilmen. Dates are not known, but our older members definitely remember when the councilmen or governing body of the church was known as six elders and six deacons. Mr. Willie Koon was the architect, planner, and builder under the guidance of Rev. Cromer for the present brick structure. Mr. V. J. Shealy, being of small stature, was volunteered by the members to nail the first beams, called the king beams, overhead in the new church. It was a dangerous mission since scaffolds etc. used today were almost unknown then. When the white church was being dismantled, a strong team of mules was needed to pull some of the structure down. Many members, with their teams, were present, but no one thought his team equal to the task. Carl Shealy’s father asked him to hitch their team to the wreckage and stay with the mules to guide them. Carl gave the order to the team and down came the building, much to the disbelief of on-lookers. The four chancel chairs presently in the church are from the first little white church. They have had face liftings and have been re-upholstered many times, but still are beautiful pieces of furniture. Two of the 40 art glass windows are very large. One is placed on the east side of the church and one on the west. One depicts Christ, with shovel in hand, bidding us go out in the early morning to Work in his vineyard. The other shows Christ holding the lamb – bidding us come to him for rest – the evening of our lives. The bell in the present belfry tower is the same one originally used in the white church. With the installation of the new pews in the new church, the hand made pews from the white church were sold to church members. The price was $.5O for a short pew and $1.00 for a long one. Some can still be seen in homes of some of the members. A few were retained for use in the Sunday School rooms. After building the Educational building, the remaining pews were not needed and were sold to members for five dollars and ten dollars. Our senior members say they can remember on occasion when Rev. Cromer would stop preaching and call down anyone talking or misbehaving. The first baby to be baptized in the brick church was the daughter of Mr. & Mrs. J. K. Shealy. She is now Mrs. Nettle Shealy Sligh. Miss Annie Belle Cannon, April 24, 1891 – February 27, 1937, deserves special mention. She was a faithful member of Mt. Tabor and the only known totally blind member on record. She had a braille Bible but braille materials were not nearly as available as they are today. Only in the last few decades has a janitor been hired. Until that time, the members each volunteered at least one week a year to sweep and clean the entire church, furnish flowers on the altar, and, in cold weather, always stack wood in- side by the large stove which sat in the middle of the church nave and was used to heat the church. The wood donated by members, was cut in correct length and stacked outside the church until needed. Until the early 1930′s, there was always a preparatory Service held on Saturday afternoon before Holy Communion Service on Sunday. As has already been mentioned, Mt. Tabor was noted for the custom of donating Sunday eggs during the six weeks of Lent. This continued until the 1940′s. It dwindled as the backyard flocks of hens disappeared from the scene. For many years, the youth planted a water- melon patch and sold the melons to acquire some money for their literature and help finance their program. Vandalism put an end to that. The Newberry Observer dated January 3, 1964, carried a picture of the Christmas tree in Mt. Tabor Church with the following caption: â€œHighlighting the services of Christmas at Mt. Tabor Lutheran Church of Little Mountain was this Christmas tree decorated with sacred monograms of our Lord. It is the first of its kind to be seen in Newberry County.â€ This was Mt. Tabor’s first Chrismon tree. Every Chrismon had been hand made by loving and deft fingers of a few of Mt. Tabor’s members. A project that must be noted concerns the Memorial Garden. With the completion of the Parish building, it had been joined to the church by a hallway. Centering the hallway was a stained glass cross donated by the Willie Koon family flanked by two stained glass windows. The area between the two buildings measured about 15 x 50 feet. In 1964, the youth of the church decided to build an outdoor altar beneath the stained glass cross. They picked up rock from the church property and constructed the altar under the guidance of George Frick. The Lutheran Women then furnished shrubbery and bulbs and planted the area leaving a grassy plot in the center. The Memorial Garden is a sentimental spot in the heart of many at Mt. Tabor. The kitchen in the Parish House was planned, paid for, and completely furnished in memory of W. Ray Shealy by his widow, now Mrs. C. B. Stuck, and his son, Troy Shealy. Every item of Chancel furnishing including paramounts, all brass ware, sanctuary lamp, Advent wreath, Credence table, flower stands, pulpit Bible, the lamp over the pulpit, and the Altar rail have been given in memory of, or in honor of, a loved one at Mt. Tabor. Mrs. Ida Hawkins, a beloved member, remembered Mt. Tabor in her will with a sizeable sum of money. The gift was used to pave the entire parking area, air condition the church, and install the first PA system. So far as we have been able to garner from records and recollections, Mr. A. W. Shealy lived to be the oldest member on record. He was born September 1872 and died October 1971 – lacking only 11 months reaching the century mark. The first woman to be elected to serve on the Church Council of Mt. Tabor was Mrs. Carolyn Torrence. She was elected in 1976.